The glorious history of Rajasthan, its royal rulers and dynasties have left behind many relics, forts, palaces and temples that have stood the test of many eras. On a tour in Rajasthan, tourists are bound to stumble upon remains of old battle relics, intricate temples, royal palaces and manmade lakes that used to act as reservoirs in the desert state. These are some of the well known Rajasthan forts and palaces are tourists must include in their itineraries. The sprawling Amber Fort is situated a few kms away from Jaipur and becomes visible as you near the capital city. Sitting in all its majesty on the top of a hill, this fort is one of the main attractions in Jaipur. 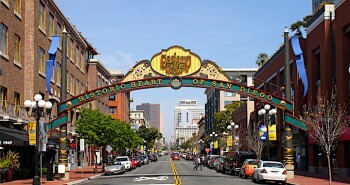 A famous tourist activity is the elephant ride that takes you from the base to the entrance of the fort. Built by Raja Man Singh in 1592 AD, it is now a UNESCO World Heritage Site. The Jaigarh Fort is another hill top fort that overlooks the Amber Fort and the Maota Lake. Built by Maharaja Jai Singh the second in the 18th Century, this fort is another spectacular highlight, surrounded by massive battlements and lush greenery. The third hill fort of Jaipur is the Nahargarh Fort, which was commissioned by Maharaja Sawai Jai Singh II in 1734 as a retreat. The view of Jaipur from the top fort is mesmerizing, especially at night when the whole city is illuminate under the night sky. The famous City Palace of Jaipur is a palatial complex built over a few years in the 18th century. A major landmark in Jaipur, its beautiful courtyards, gardens, royal rooms and secret chambers make it any tourist’s delight. 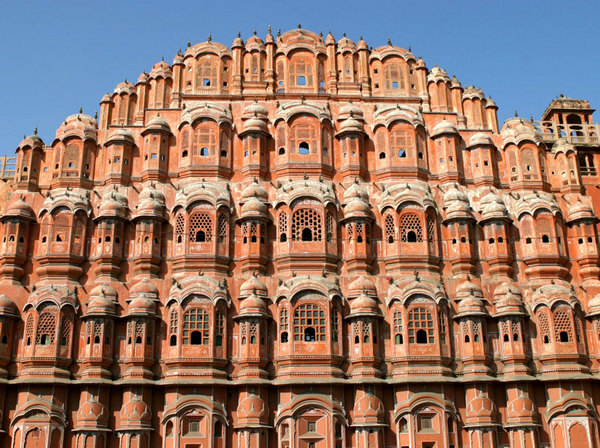 The iconic Hawa Mahal, also known as the Palace of Winds is a symbol of Jaipur. Other key palaces include the Jal Mahal and Rambagh Palace, both of which are open to tourists. 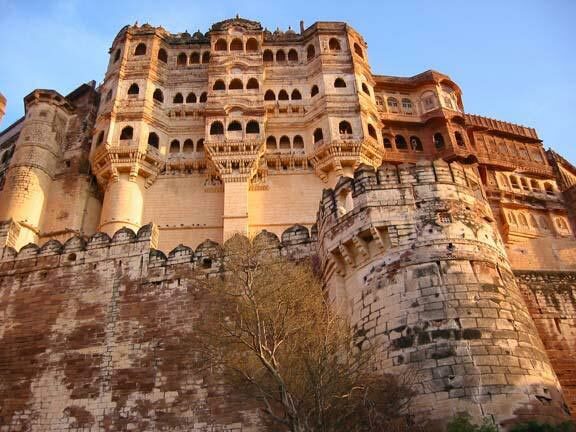 The Mehrangarh Fort is probably one of the most enchanting forts in the whole of Rajasthan. Perched on top of a hillock, the fortress stands guard over the entire city of Jodhpur, nicknamed the Blue City owing to the ubiquitous blue color of all the houses and buildings. The Umaid Bhawan Palace is a beautiful palace complex that can be seen from the fort. Other highlights of Jodhpur include the Jaswant Thada Memorial and the Balsamand Lake Palace. Known as the city of lakes and palaces and also known as the most romantic city in India, Udaipur has many beautiful monuments such as the inimitable Lake Palace, Jagmandir Palace, Fateh Prakash Palace, Shiv Prakash Palace, Monsoon Palace and Kumbhalgarh Fort. In the desert city of Bikaner, tourists must visit the Junagarh Fort and Lalgarh Palace. The Jaisalmer Fort is considered to be one of the best forts in Rajasthan and is one of the largest forts in the world. 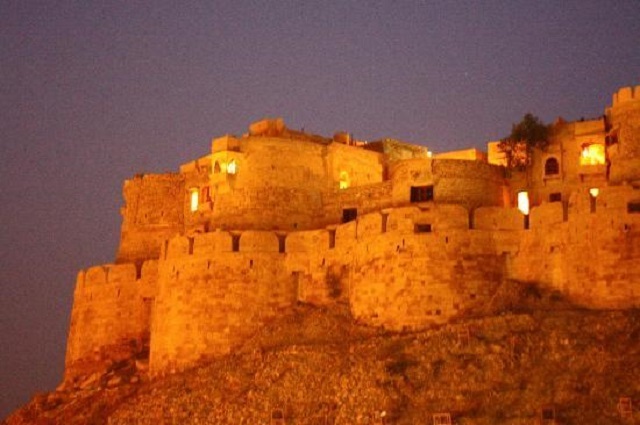 Another prominent fort in the city is the Jaisalmer Durg.